I’ve tried not to be critical of Mayor Broome, but I’ll be honest. She’s just terrible. I had policy differences with Mayor Holden, but he and his staff really loved Baton Rouge and he tried to govern for ALL the citizens of East Baton Rouge Parish. When Kip Holden spoke, by and large, he was speaking to all of Baton Rouge. When Broome speaks, she sure isn’t speaking to me. Now, Kip may have had a couple of adult beverages as he was out and about with the citizenry, and folks amused themselves talking about that, but those antics are neither here nor there. My friends in City Hall tell me that no one really knows what the hell they are doing in her administration; she’s a very slow decision maker and has to be involved in every single decision. Even then, she turns to her faith-healer who is constantly by her side for the final word on matters. 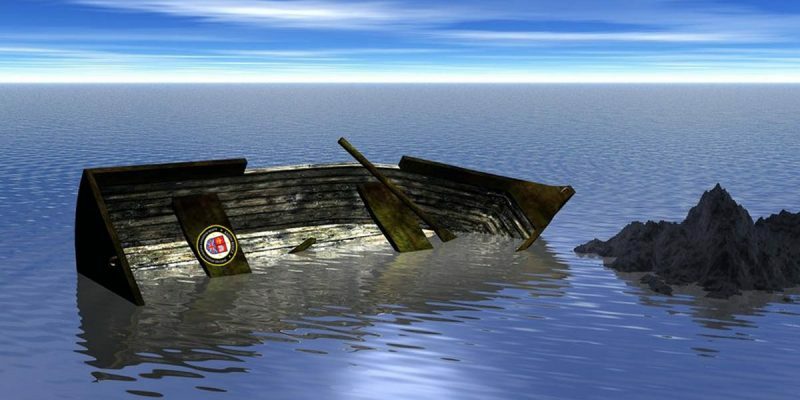 This ship is sinking fast. I know several folks that she’s reached out to for the Chief Administrative Officer job and they’ve flat-out turned her down. She’s hard-pressed to find anyone with a decent level of competency to take the job. The sad thing is she a very poor leader. Good leaders make allies of their foes, but this woman just keeps alienating more and more people. The truth is she’s never accomplished anything, and has never represented a diverse group of people. Prior to winning her current office, she’s never represented an area with at least 20% diversity of race, and it clearly shows. I used to read old ordinances while thinking of ways to improve Baton Rouge during my term on the council. I used to see the names Jay Dardenne, Duke Welch, Mary Fry Eaton, Darrell Ourso, Tom Ed McHugh, Mike Walker and others all the time as authors of those ordinances. Not once did I see Broome’s name on any significant piece of law or policy, nor am I aware of anything she’s done that would constitute meaningful policy in the State Legislature. Now she’s going to propose a road tax. Hell, I’m positioned with my business to make SIGNIFICANT money if a real infrastructure tax gets passed, and I don’t trust her or her staff 1¢ to put forth a proposal that can pass. They announced a tax, but don’t even have the projects settled? Amateur hour at City Hall, folks. I’m not saying any of this to be partisan. I could really care less about political parties at this point in my life. We’re all in this boat together and it’s taking on water at a breakneck pace. Previous Article Hey, Don’t Forget To Pick Up Your Ticket To The Hayride’s Summer Dinner!